With summer travels coming up, I am so excited to share with you the new "Are We There Yet?" product line by Aurora! They have some of the cutest products available, including adorable Keep Me Comfy neck rests, By My Side leads, and My Name Is ID tags. I received the Keep Me Comfy neck rest and By My Side lead for review. We have tested out the Keep My Comfy neck rest quite a few times since we received it. We are always on the go on the weekends, and Cooper occasionally ends up napping during our drive to and from different locations. The Keep Me Comfy neck rest is not only cute, but works well to keep Cooper's head and neck comfortable while napping in the car, and also helps to keep him from that horribly uncomfortable neck breaking position that our poor children tend to end up in when napping in the car. You know what I mean... when you look back and see that you child is fast asleep, but in what must be the most uncomfortable position on earth! We have not tried out the By My Side lead as Cooper is a bit to old to need to wear a lead when we are out and about. I plan to let my sister try this out with my niece while on vacation next month, though. Both of the products that I received are very high quality and extremely cute to boot! I would definitely recommend this line of products to anyone with children. BUY IT! You can purchase your own product from the "Are We There Yet?" line at Aurora Gifts. WIN IT! One lucky reader will win their own My Name Is ID Tag from Aurora! Visit Aurora's "Are We There Yet?" 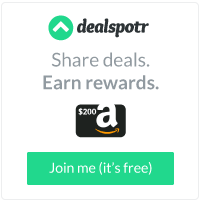 line, then come back and tell me about an item that you would like to try! Follow me on Twitter and tweet about this giveaway! (Leave your Twitter name and a link) You can tweet this daily: “Are We There Yet? giveaway at Opinions of a Moody Mama #giveaway @coopersmommy http://tinyurl.com/6f8op9f Please RT! " 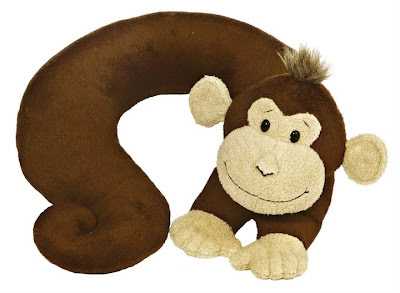 love the X-LARGE CHEEKY CHARLIE and the monkey pillow! 8" MILLY WITH HAPPY BIRTHDAY BALLOON. I know my daughter would love the 14.5" LARGE CARMEN BFF monkey! i would like the cheeky cheerleader for my daughter, it's super cute! Phenom Water - Win a Full Size Bottle!